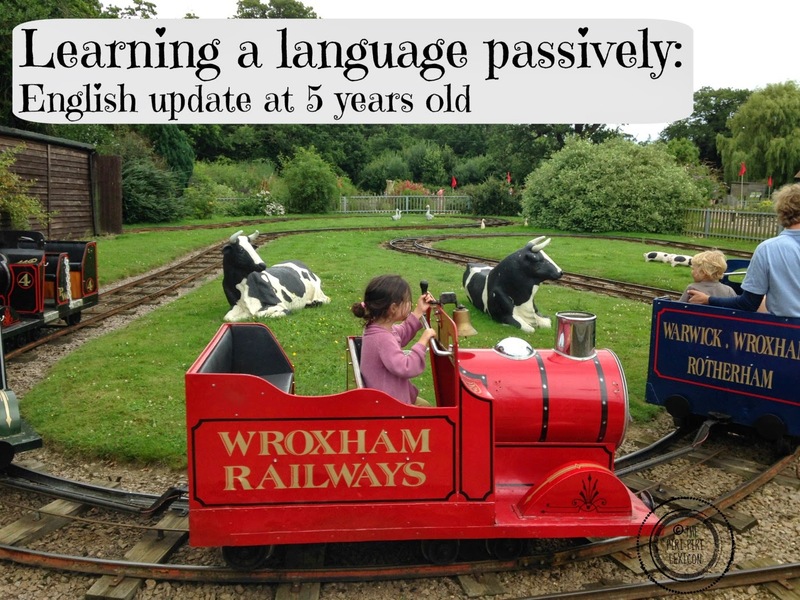 Learning a language passively: English update at 5 y.o. I like to keep little sound bites of my children chatting. I have shared a few in the past. It is a fun way to keep track of their speech development. 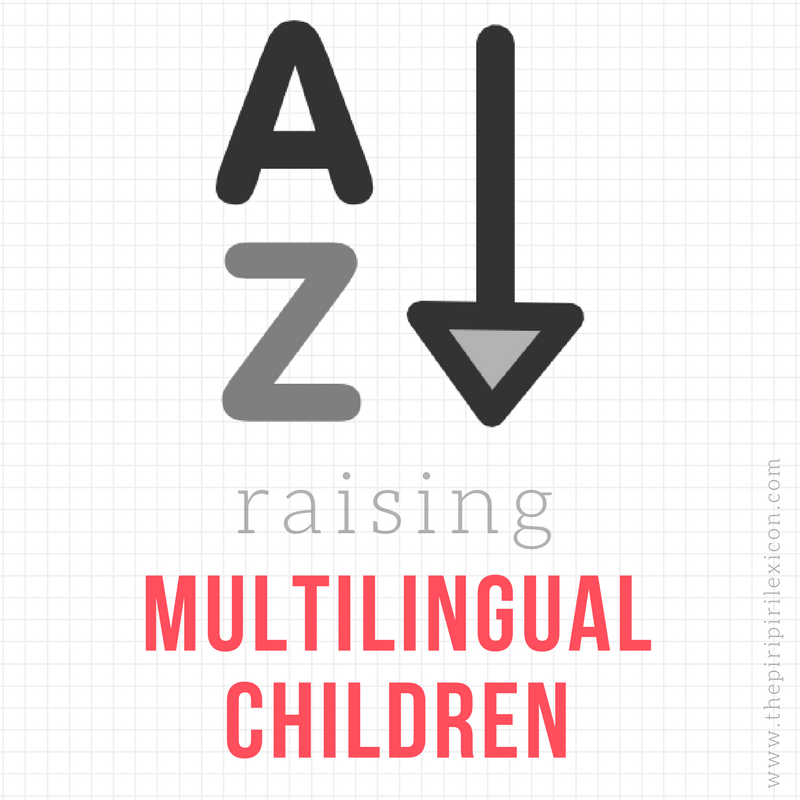 Warning: this post contains a 5-year-old speaking English with a funny accent! It has been really tricky charting LJ's progress in English. She hears it every day between her parents and with a few friends around us. It is a completely passive language learning experience for her though. We never ask her to speak in English (except a few times a year when friends from England visit or we go to an English-speaking country). I tried a few weeks back to sign her up for a class but she refused, being the great little introvert that she is! Earlier this week, LJ requested that we speak English only for a few minutes. I complied as I wanted to hear her English. You can listen to it here too. You will hear that I keep giving her instructions in French on what she is doing (I just can't help it....) but then she chats in English while doing her games. In any case, passive learning does work. If this is something happening in your family, keep faith. She surprised me with some sentences and words I had no idea she knew. She always does. The fact that she is an introvert may suit that style of learning. She strikes me as someone who absorbs a lot and then spits it out when she needs it and when she is not afraid of getting it wrong. Oh my word, she is so adorable, Annabelle! I am long overdue for our 3yr update. I've been jotting things down and recording voice notes as well. Finding it hard to put it out there on the internet as a piece of a puzzle when people think this is the whole and completed puzzle though, when in fact, this is the beautiful work-in-progress. En tous cas, bravo maman et bravo LJ!!! I have a friend whose son is really good at passively learning. He has picked up a lot of French and Mandarin from his friends at their international Kita. What a great idea to record! I really enjoyed listening to your conversation with her! So insightful! Isn't technology amazing? !